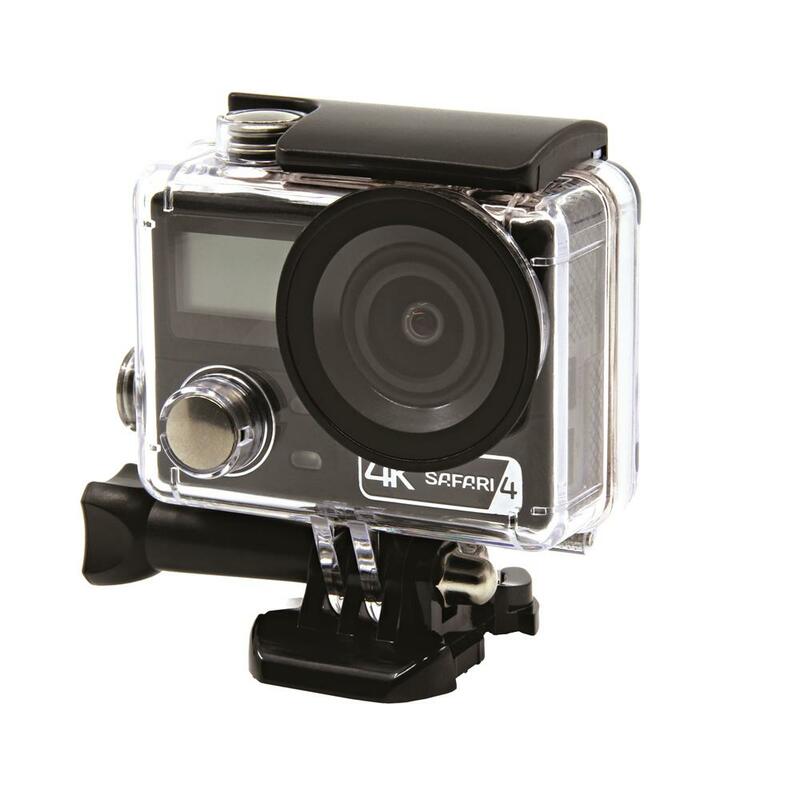 Capture all your adventures in high resolution with the Safari 4 4K Action Camera. Featuring a 170-degree ultra-wide angle lens to capture complete scenes, Wi-Fi functionality for sharing on-the-go, slow motion mode and much more. New front facing display shows vital info such as recording time, battery life, mode selection and more. Dual LED indicators on the front of the camera provide quick feedback to the user if the camera is on/off/recording/charging etc. Improved waterproof housing features our innovative lens shade that will reduce glare caused by the sun and other light sources. Interpolation is a method of upscaling the video quality to make the media more compatible with 4K monitors and players. Similar to the way that Blu Ray's are upscaled to work with 4K TV's. The HD 2" LCD screen lets you view, frame and replay your videos and images seamlessly on the camera. New ultra-slim body design makes the new Safari 4 even more portable and ready for any adventure. New improved waterproof housing features our innovative lens shade that will reduce glare caused by the sun and other light sources. Wi-Fi remote control and wrist band included. The easy to use menu system allows you to adjust your settings on the camera quickly and efficiently. Featuring advanced modes such as Burst Photo, Time-lapse and Slow-motion taking your game to a whole new level. The in-camera stitching of time-lapse and slow-motion recording allows you to post advanced media directly to social media platforms without the need for complicated video editing programs. Record: Record videos, photos, slow-mo, time-lapse - everything! All from the dedicated app for your Android or Apple device.